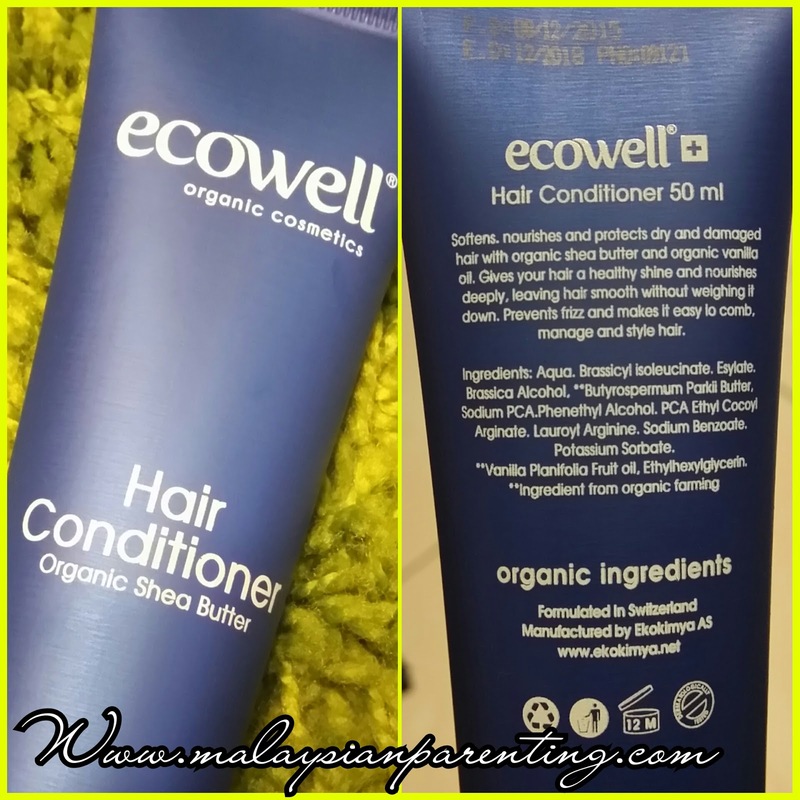 Checking out Ecowell Hair Conditioner 50ml; which comes in travel-friendly sizes with up to 30-applications and is suitable for all hair type. This products softens, nourishes, protects and repairs dry and damaged hair. It also prevents frizz and keeps hair healthy and manageable. It's ICEA-Certified Organic, Dermatologically Tested, suitable for normal to oily hair and Eco-Friendly. After every usage, hair appears to be less tangled, lightweight can serves as intensive hair and scalp nourishment too. Love it.